We are coming up on what we Americans call the Holiday Season. And it is a season: not just one holiday, but a joyous period in which every day is special. A few of those days don’t have names yet, but I am sure that in time that gap in our culture will be filled. Here’s a rundown of the next week or so. The traditional fun begins with Travel Nightmare Wednesday. Observed the day before the last Thursday in November, this holiday is celebrated around the nation by crowding into planes and spending quality time with loved ones inside cars crawling along interstates. Then comes Thanksgiving, when we solemnly thank the Almighty for football and giant balloons in the shape of cartoon characters. Some families also give thanks that once again they deep fried the turkey without burning the house down. Things pick up a bit with Black Friday, a holiday that celebrates the simple pleasures of buying stuff. Traditionally, it is observed by talking about how everybody else is going to the mall that day and recounting how it is traditionally the busiest shopping day of the year. It is not, nor has it ever been. That honor usually goes to Most Busy Saturday, which falls this year on December 18th. Next up is Tryptophan Saturday. On this day we eat cold turkey sandwiches and decide we don’t like turkey nearly as much as we thought we did. It is named in honor of the amino acid that is traditionally thought to be the special ingredient in turkey which makes you sleepy. It’s actually no more prevalent in turkey than in chicken, beef, or pork. And eating turkey doesn’t make you sleepy. Pretty Bad Travel Sunday follows. And finally Cyber Monday arrives this year on November 29th. This is the day we do our shopping the modern American way: surfing the web on company time. To cynics like me, the best part of holiday traditions is the total blindness we have about how traditional they actually are. If you are over 40 you know that Black Friday as a "holiday" was invented in the past decade or two. But I am sure that in another generation people will be quite sure it dates back at least to the Great Depression, if not the Pilgrims. In fact, we seem to be in the habit of mistaking the relatively recently invented for ancient and the actually traditional for unwanted recent innovation. The President pardoning a live turkey? That dates all the way back to 1989. Complaints that the way we currently celebrate Christmas is crowding out the religious meaning of the day? Literally ancient, dating back to the Christian re-branding of pagan winter solstice holidays as Christmas. Even our habit of believing that the newly created is old is itself a Christmas tradition of long standing. "A Visit from St. Nicholas" a.k.a. "The Night Before Christmas" (1823) convincingly described the whole St. Nick riding in a reindeer pulled sleigh and coming down the chimney thing as if it was a long standing legend, even though the poem pretty much invented the whole thing from scratch. Every year stores put up their Christmas decorations at about the same time, and every year we are startled and complain how they are putting them up so early this year. Complaints that it’s all become too commercialized are as traditional as you can get. And there have always been Scrooges who think the whole thing is a waste that has gotten out of hand. The Society for the Prevention of Useless Giving (SPUG) was formed in 1912 to combat the "custom of exchanging gifts at Christmas without sentiment". Sadly, I can’t find a current web address for this group. After lottery tickets, Christmas shopping is the best way to impoverish yourself. I dare say that this year in New York I’ve been surprised at how late the decorations are going up. I have nothing witty to say about that. Frank sounds very macro-oriented … so he probably won’t get a money management job in this economy. As George Soros said, at different times the economy reacts and is driven differently. When there are a lot of “cross-currents” … as now appears to be the case … it’s difficult to play any macro themes. 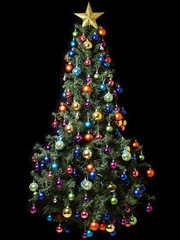 check out: cashsmart-smartsaving.blogspot.com for money saving tips during the holiday! I am commenting on blogs for holidays, now after reading this story about Christmas all I want to do go lay down in a dark room. I love Christmas but not yet. I did feel good after. thanksI find flaws with both the aurther and Ramsey.